One sure fire way to motivate yourself to work out is to involve your friends and family - and to make sure you enjoy what you do. And what better way to have fun than run a race where the idea is to get as messy as possible? The kids love it - and so do I! And this is exactly what we got up to yesterday - on the recreation field behind our house. Wearing some old clothes we didn't mind getting 'colour-bombed', we headed off to the very first 'Colour Me Twyford' event, organised to raise funds for the local youth club. 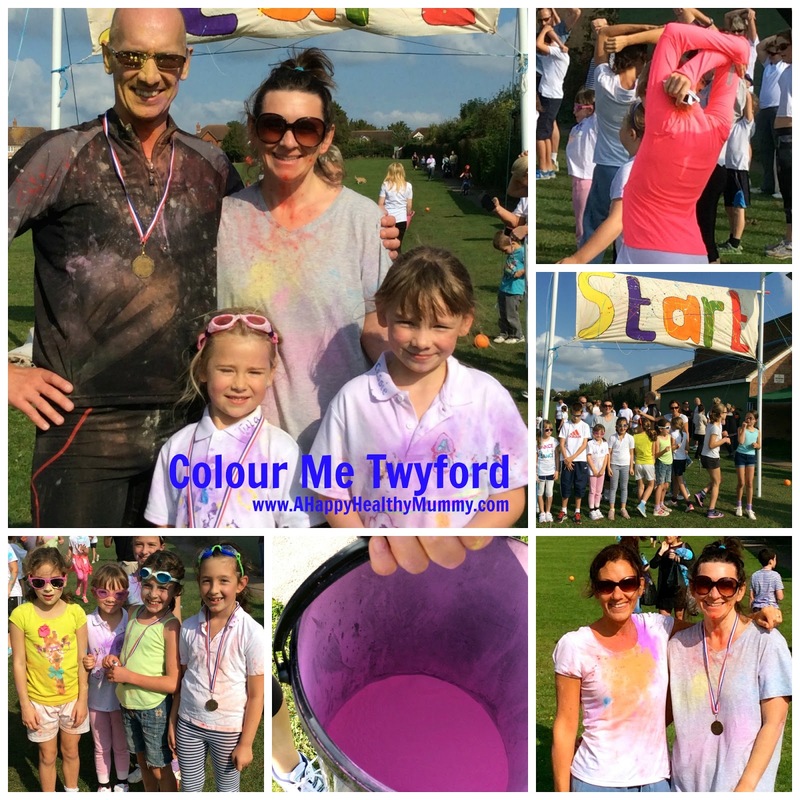 After a warm up by a local sports coach, it was googles and sunglasses on and off we went on the 3k course, running a gauntlet of helpers armed with multicoloured powder to splatter us with. This just might be the pink station at Run or Dye! Next month I'm joining the Run or Dye team in Oxford to run a 5k amid a shower of safe, eco-friendly, plant-based powdered dye. At the finish line there's a colour storm of a 'Finish Festival' with emcees counting down to a mass 'Tie-Dye the Sky' moment (basically you get a colour packet of your own to throw about!). 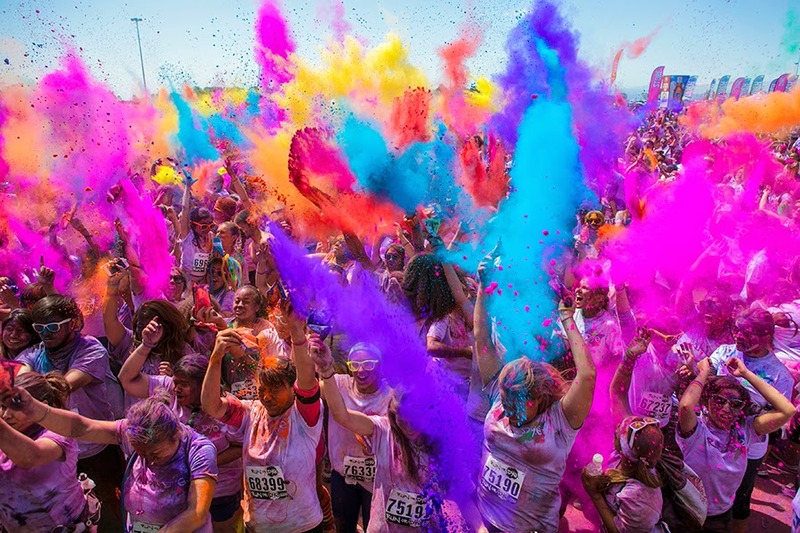 £3 off the Run or Dye ticket price! With Run or Dye events across the country, everyone can join in (and if your kiddies are under 6 they get to run free of charge!). Watch the video, find your local event and sign up. There's even an exclusive discount code for AHappyHealthyMummy.com readers! Enter HEALTHYMUMMY when you register for a £3 discount on ticket price. Who doesn't want a chance to bring a bit of colour into their workout? 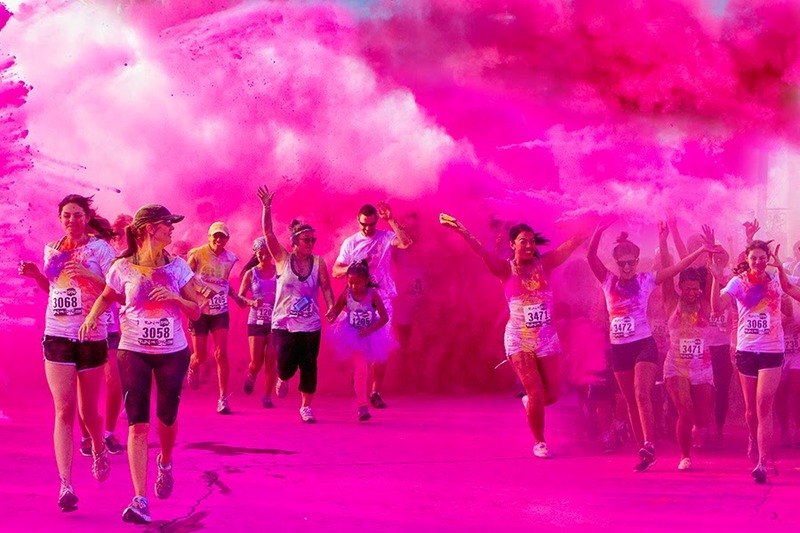 Have you ever run a colour race like these ones? Did you go it alone, with a group of friends or with your family? Let us know your top tips in the comment box below. Thank you for reading! I've been wondering what these are like. Can't wait to hear more! Top tip is to keep your mouth shut when you run past a colour station!!! ha ha, that's good advice! This sounds like a cool activity! thank you for linking up with the #pinitparty! Can't wait until Oct 25th now so I can get messy again! I'll be sure to post some pics on the blog's Facebook page! What a great event. Perfect for a bit of fun as a fundraiser and great to encourage family involvement too. Well done to your reluctant walkers on their 3k and good luck to you on your big run or dye race next. Thank you for joining me for Country Kids and I'm happily sharing your post. The kids are slowly getting into the idea that medals are good!! It's something I was never exposed to as a child (although my parents are very fit & healthy) - and am hoping it makes the girls view competition as a positive thing - and that they can apply what you learn when you train for a race/event to life in general. Although maybe I'm overthinking the 'fun run' idea! hope you are all better - it's that time of the year I'm afraid!